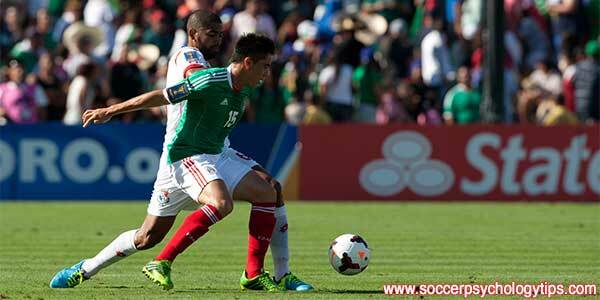 What leads to you feeling pressure during soccer games? This is a question each athlete needs to ask themselves. 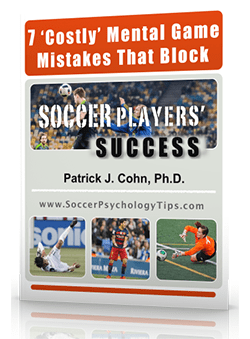 You can think of many triggers that can add to the pressure of playing travel or college soccer. For some athletes, they feel pressure from excessively high expectations for themselves. Some athletes feel added pressure due to their perfectionist mentality. Some athletes feel pressure to perform due to perceived expectations from teammates, coaches and parents. In order to cope with pressure, you first must know the sources of pressure that hurt your performance. One thing to note is that a source of pressure for one person may be a source of motivation for another athlete. For example, an athlete competing in their first championship game may become overwhelmed by the moment fearing they will fall flat on their face and embarrass themselves. Another athlete in the same championship circumstance may be excited to compete on the big stage and look forward to the challenge of raising their game to the next level. In this sense, pressure is a matter of perception. Even greater than knowing your sources of pressure is how to manage pressure to a range than helps you perform at your peak. For some athletes, even a little bit of pressure may be too much for them to handle. For other athletes, more pressure allows them to get psyched up and ready to compete. The range of pressure for an athlete to perform at their peak is unique for each athlete. Once you know at what level of pressure you perform at your peak, then you can learn strategies to guide you into that optimal pressure range or re-direct you into that range in the heat of competition. When speaking about pressure, the Premier League is one of soccer’s most competitive leagues with some of the most storied franchises in all of sport. As the championship looms nearer, this is the point where many players feel a greater sense of pressure. Former Manchester United player and winner of eight Premier League championships Gary Neville talked about the difficulty pressure presents for some athletes. Pressure is a unique experience for all athletes. Knowing how you put pressure on yourself and the optimal range of pressure for you to perform at your peak will help improve consistency. Review some of your best performances in big competitions. 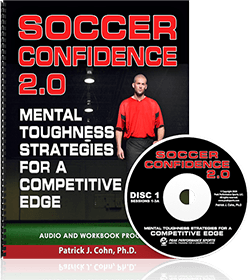 Identify the preparation and mindset that added to your confidence and reduced the pressure you felt. Did you feel prepared well for the competition? Were you excited to compete? Were you focused on game strategy or tactics? Pressure is all about perception for each athlete. How you interpret expectations and pressure will lead to a success-mindset or avoidance-mindset for competition.